House of Givenchy founder Hubert de Givenchy, a major personality of the world of French Haute Couture and a gentleman, symbolized Parisian chic and elegance for more than half a century. Audrey Hepburn glides through the credits of the 1961 film Breakfast at Tiffany’s in a black dress that is in no way little. It’s a long, narrow sheath, though she can still amble down Fifth Avenue unimpeded. The dress is sleeveless – yet gloves cover her arms far above her elbows – and collarless, with a striking back strap revealing her shoulder blades. Several generations have worshipped images of Hepburn in that dress as defining sophistication. 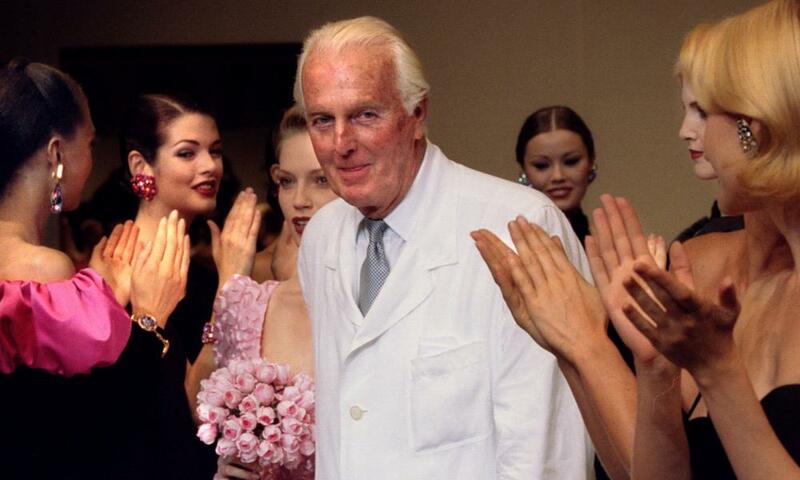 This was the work of Hubert de Givenchy, who has died aged 91. His clothes for Hepburn made her feel secure. “I put them on and I feel protected,” she said. He helped her to downplay the trampiness of Holly Golightly, who trips into Sing Sing prison in Givenchy’s lampshade hat, and shops at Tiffany’s in his tailored coat. No wonder Jacqueline Kennedy commanded Givenchy to outfit her state visit to Paris that year. Givenchy had been brought up to enjoy textiles, to regard them as treats. He was the younger son of the Marquis of Givenchy, who died when the boy was three, and Béatrice Badin; and the pet of his maternal grandmother, Margaret Badin, widow of the director of the Beauvais tapestry workshops. That was his happy memory of childhood, his grandmother rewarding him for good behaviour by opening cupboards filled with fabric treasures, or allowing him to rummage in trunks and bundles. “My mother and my cousins played customers, gathered about the sewing machine.” His mother backed his decision to be a fashion designer, provided he did it to the highest standards. She introduced him to couture houses and sent him to study in the Ecole des Beaux-Arts in Paris. As a postwar teen he worked briefly for Jacques Fath, Robert Piguet and Lucien Lelong before joining Elsa Schiaparelli in 1947. She had confidence in him, despite his youth, and told him to use up 900 metres of prewar, surrealist-print silks cluttering her stockroom. He did what he always did thereafter: hung up the cloth until he understood its properties, and then cut separates from it, amusing enough to sell well despite the stuffs being so out of date. “Never work against the fabric, it has a life of its own,” he said. Givenchy was 24 when he opened his own house with financial backing from his brother-in-law, Louis Fontaine, who owned the Prisunic chain stores. There was only money enough to pay his few workhands (many of whom then stayed with him for life). He showed his clothes on plastic mannequins to save model hire and, not being able to afford the silks of his competitors, made a collection with the cotton toile (shirting) traditionally used for couture prototypes. This, plus the simplicity of his lines, and his philosophy that a dress should defer to a woman’s shape, not she to it, positioned him closer to American sportswear than to Paris couture. 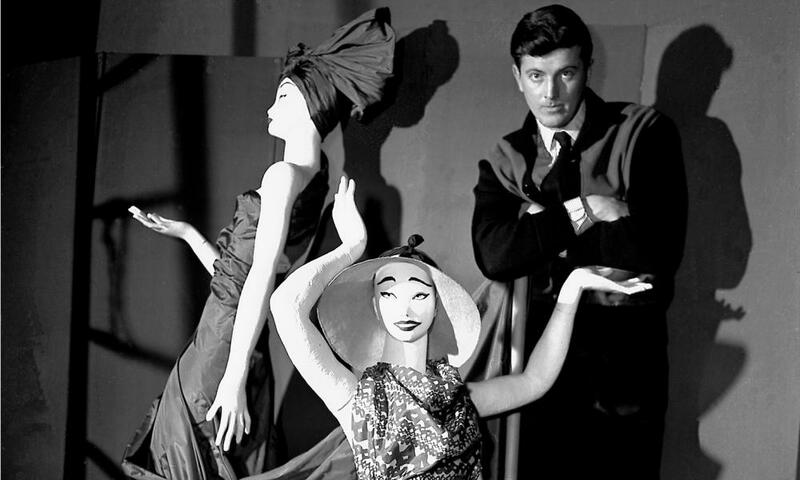 His heroes were the unique dressmaker Madame Grès, who left him her personal collection of 300 gowns, and Cristóbal Balenciaga, who redirected clients to Givenchy when he closed his own house – despite the fact that Balenciaga was baroque in spirit, while Givenchy was a neoclassicist. Givenchy’s freshness and vivacity were just right for the new world of the Vespa scooter and the beach bag. And they attracted the ultimate customer in 1953. When he was told Mademoiselle Hepburn had made an appointment, he assumed that meant Katharine the great movie star. In walked Audrey, who had just made Roman Holiday, the definitive Vespa movie, aged 24 but looking a teen in T-shirt, ballet flats and no make-up. She thought he could supply the believable sophistication she needed for Sabrina (1954), the Billy Wilder film in which a below-stairs girl returns from Paris transformed. There wasn’t time to create to order, so she chose from what was available and stood through three-hour fittings in service of exactitude. Her boat-necked Cinderella gown won a deserved Oscar, but not for Givenchy: his work was credited to the studio designer Edith Head. Yet the next year, the studio dressed Hepburn in ready-to-wear clothes, and not from Paris, for the comedy Two for the Road. The mood had changed, and the big money had gone. She demanded Givenchy should design her period costumes for Tennessee Williams’s Summer and Smoke, then withdrew from the project, and their only movie together after that was the made-for-television Love Among Thieves (1987). Among Givenchy’s clients were also Lauren Bacall, Ingrid Bergman, Leslie Caron, Maria Callas, Grace Kelly and the Duchess of Windsor – he stayed up all night to sew the black coat she wore to the Duke’s funeral. Although he never lacked wealthy customers, he was uncomfortable with the extravagant showmanship of couture from the mid-1970s: the “impossible, crazy clothes” that did not “think about the life of a woman”, and were careless, almost contemptuous, of textiles. He remained commercially astute, selling his perfumes to the Veuve Cliquot champagne brand in 1981, and the couture house in 1988 to the LVMH luxury conglomerate, which later acquired the perfumes, too. He had long since set up an alternative life as an “amateur d’art”, buying from artists he had met, Miró, Picasso and the sculptor Diego Giacometti. His real passion, though, was for the very best French furniture of the late 17th and early 18th centuries, and over the decades his Paris apartment became a miniature Versailles. But he sold his collection in 1993 – too museum-like – and lived mostly in Le Jonchet, his manor house near Tours, with its gardens edged by 36,000 box bushes and its white roses in memory of Hepburn. Givenchy was awarded Paris couture’s Golden Thimbles in 1978 and 1982, and there were major exhibitions at the Fashion Institute of Technology in New York, in 1982, and the Musée de la Mode in Paris, in 1991. He is survived by his partner, and fellow couturier, Philippe Venet.